ROHO Hybrid Elite Cushion Aids Pressure Relief. 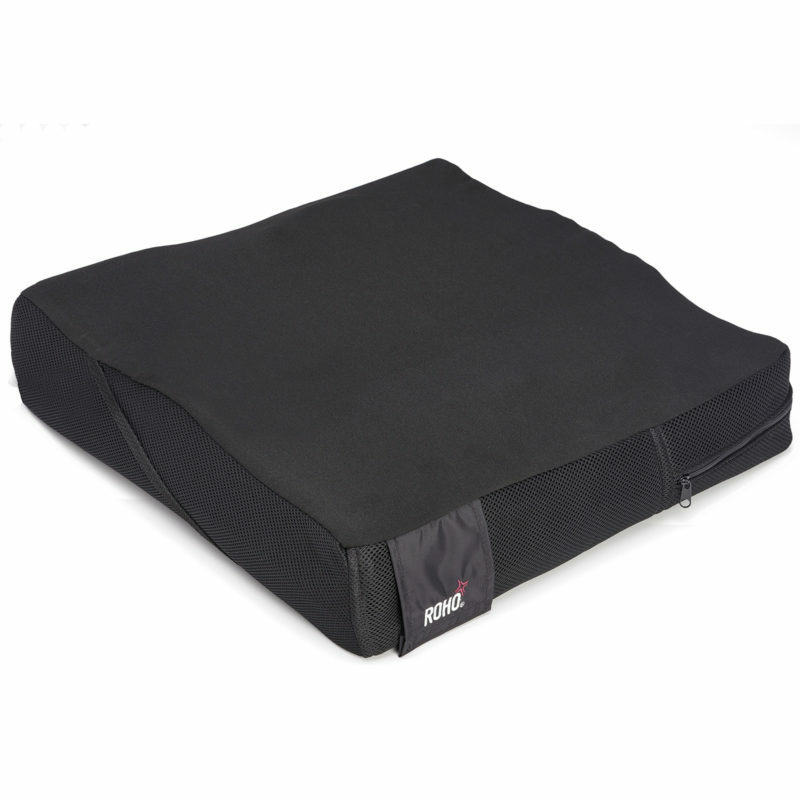 The Roho Hybrid Elite cushion is adjustable to your shape and weight and will change with your position over time. I purchased this cushion and am very happy with it , quick delivery and I have recommended this to a friend who is also going to purchase one. After a lot of research and many questions answered by the knowledgeable staff at Active Mobility, I decided to purchase this cushion. I am really pleased that I did as the relief this has provided me is worth every penny. It is so comfortable and perfect for my needs. Thank you Active Mobility ! High score for comfort and pressure relief. Drawbacks include feeling floating and less in control of chair, and there is only a small solid area for fist for transfer. This is more for medical reasons but then you must have support for an active lifestyle. This will keep that suspect redness at bay.